Hydraulic power unit oil path has size 6,10,12,16. In order to make the hydraulic system to work properly, we have to control the hydraulic fluid in the pipe flow velocity, usually 4 to 6 meters per second. Oil flow rate by the system operating pressure, oil flow path and the system maximum flow to decide; in certain oil path, the pressure and flow speed is proportional to the flow size of system work. The size of the hydraulic system operating pressure are determined by the load, so the size of the working pressure must meet the requirements of a load; in order to ensure the normal operation of the system, system configuration of the relief valve set pressure must be greater than the actual working pressure 15-20%, to ensure the system pressure in up to the working pressure, relief valve without unloading; that is special noted, relief valve setting pressure should not be greater than the rated working pressure of the oil pump, otherwise it will affect the pump service life or failure. We generally use the product of rated speed of motor and gear pump rated capacity to calculate the flow, product of the working pressure of the system and the system flow we call for hydraulic power; the size of the motor power is determined according to the hydraulic power, the general hydraulic power is about 50-70% of the rate of motor power. 1.Pipe fittings screwed into the valve block, it need install combination sealing(JB982-77) into valve block port. The pipe fittings and connection tubing with O-ring seal, which uses Type A buckled steel wire braided hose. 2.The type A buckled steel wire braided hose, size 6, 10, using type II;size 16,using type III; to meet the needs of the hydraulic system working pressure. In order to use the product to achieve the functionality required by the user, when ordering, users must offer products relevant technical requirements and parameters. 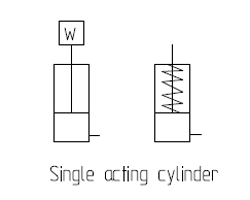 Hydraulic Cylinder parameters- including the cylinder bore and piston rod diameter, stroke, cylinder quantity;- it is a double action cylinder or single cylinder;- this hydraulic power unit is one circuit or several circuit;- is the top level, the straight top or inclined top; inclined top, the angle for cylinder in the starting position the axis line and the horizontal line;- are controlled separately or simultaneously controlled. Working environment and working frequency1.Working environment including normal environment, dust environment, the environment of high temperature, wet environment, flammable exposure in the environment, outdoor environment, low temperature, low noise environment, walking environment.2.Working frequency means that the continuous working time of a working cycle of the product, the time interval between each cycle and the number of continuous work day. The power for hydraulic motor has AC and DC power.AC power has three-phase 380V hydraulic motor and single-phase 220V hydraulic motor. The motor parameters has rated power, rated speed, frequency, degree of protection, etc;DC power voltage has 12V, 24V, 48V, 60V, 72V and so on;The work system has two kinds of short time system and time delay system, and it can be determined according to the continuous working time.If there are special requirements for the voltage and frequency of the motor, it must be specified. The power for Solenoid valve If the system uses AC motor control, AC power can be used, can also be used with DC, usually we use single-phase AC power, such as AC110V or AC220V; with DC, usually DC24V.If the system uses a DC motor, control power for DC power, the voltage should match the DC voltage phases. Hydraulic power unit Load and related functions1.size of the load, including the weight of the host platform; cylinder withstand thrust or pull.2.lifting speed requirements, it need adjust the speed or electronically controlled speed.3.Whether the system need to pressure maintaining function, reduced function, counter function, synchronization function, sequential function. Installation:Installation Product installation has vertical and horizontal installation of two. Installation space:If the product is in use, it is necessary to provide the installation space size, or to put forward the requirement of the product outline dimension;And outside the product, there is no size requirements. for vehicle or the work environment is not ideal, generally with the box cover or shield. Usually as below:Size 6 with M14 × 1.5, (adopt size 8 tubing)Size 10 with M18 × 1.5,Size 12 with M22 × 1.5,Size 16 with M27 × 2.0, etc.If the user has other requirements on the size of the oil port or need to configure the pipe connection, to be described. 1.for the design of complex special models, users can provide relevant hydraulic circuit diagram，or be designed according to user requirements and mutual recognition.2.If users need related quality documentation，to be described.3.The product appearance, brand logo, etc. if there are special requirements, to be described.4.Purchased order with Fax, email and other forms to confirm is accept. Hydraulic power unit Packaging and TransportationUsually the power unit packaging with export carton and with wooden pallet; For special transport and packaging, to be described. 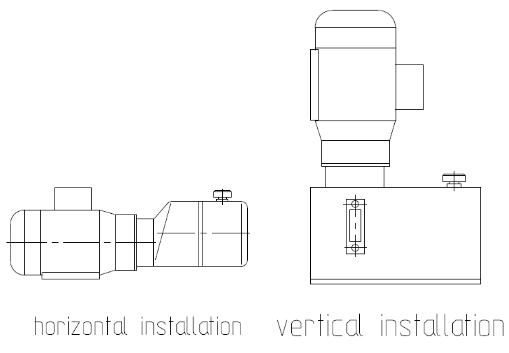 there are devices placed inside the built-in and external devices on the two kinds depending on the external parts of the installation, built-in dimensions of the power unit there are specific requirements, if the mounting space is difficult, sometimes using split structure, upcoming motor pump group and tank valve mounted separately.The power unit must be installed with shockproof measures, can not be inclined or vertical with horizontal. Used in the field to install the cover box, moist environment is recommended to use special protective motor. 1)Due to various types of hydraulic system failure occur more than 80% of the problems are caused by hydraulic oil, so the correct use of hydraulic oil to ensure the system’s reliability is very important. 2)The product must use hydraulic oil to meet the national standards, prohibited the use of recycled oil. 3)We used the anti-wear hydraulic oil, according to the different weather and environment temperature can choose different viscosity of hydraulic oil, the selection of hydraulic oil of high viscosity of the general environment of high temperature, such as HM46 or HM68; and low temperature environmental selection of hydraulic oil of low viscosity, such as hm32 or anti icing hydraulic oil. 4)To control the oil temperature, high temperature easy to make oil oxidation, loss of elasticity, affect the system work properly. 5)Because of the power unit of the hydraulic valve is relatively high accuracy, the working gap is relatively small, it is easy due to the presence of impurities in the oil leaving the hydraulic valve failure death card, the cleaning fluid is very important, and we use refined oil factory Cleanliness not up to standard the actual requirements, therefore, during refueling of oil must be filtered, the filter can be used optimal refueling machine, also can mask more than three or more than 300 mesh filter filter precision refueling. 6)The cylinder and the tubing and other components of the internal cleanliness of the hydraulic system cleanliness is also a great impact. 7)Since the beginning of the system has a run-in period, such as at work, but there may be many problems, such as metal particles, cotton yarn, rubber particles, welding slag and other contaminants within the original system, so after 100 hours of work in the system must be first oil changes, to clean up the system;to prevent oil used for a long time to produce oxidation and deterioration of the system after the first oil change every year since the requirements of the system for cleaning and replacement of new hydraulic oil. In order to maintain the normal working state of the system. The hydraulic power unit motors divide into AC motor and DC motor. Usually AC motor has both kinds motors,three-phase motor and single-phase motor,it is according to the user’s need to choose,which was divided into ordinary AC motor and and special oil pump motor.Ordinary AC motor can be achieve the long time work duty, and special oil pump motor apply only in short-time work system.It is according to the structure of the motor,the motor is with fan and fan-less.It is according to the using occasions,the motor has common motor and explosion-proof motors.The explosion-proof motor currently only the phase voltage 380V motor, explosion-proof unit does not apply in downhole operation equipment. DC motor has short-time work system and long-time work system, the power unit commonly used short-time working motor,but also according to the actual need to choose a brush motor delay or brush-less motor to extend the working time of a motor. Some user with special voltage, frequency, degree of protection required motor requires special order.Since the DC operating current is large, generally using electromagnetic starter switch auxiliary starting, motor and switch wiring can be found in the following diagram be strictly controlled by line specifications and its line length, to reduce the loss of line voltage. To ensure the normal operation of DC motors and electromagnetic starter switch, the input voltage should not be less than 10% of rated voltage.The use of various types of electronic control valve voltage reference to this requirement. 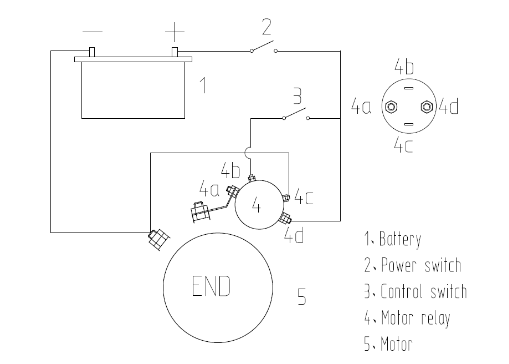 DC motor of a shaft end is rotated to a normally clockwise, and AC motor a shaft end is rotated to the general according to the oil pump rotation to the different changes, depending on the motor fan cover has a rotation flag. 1.The hydraulic cylinder is the actuator which make hydraulic energy of hydraulic system into mechanical energy, through the expansion and compression of the cylinder, implementation mechanism for a variety of actions, in order to meet the requirements of all kinds of equipment. 2.The hydraulic cylinder is divided into single and double acting cylinder, single acting cylinder starting action by hydraulic propulsion, reset action by load gravity or spring to achieve, the single hydraulic cylinder with an oil inlet and an exhaust port; and the expansion and contraction of the double acting cylinder are dependent on hydraulic oil pressure to achieve, there are inlet and outlet in the hydraulic cylinder. 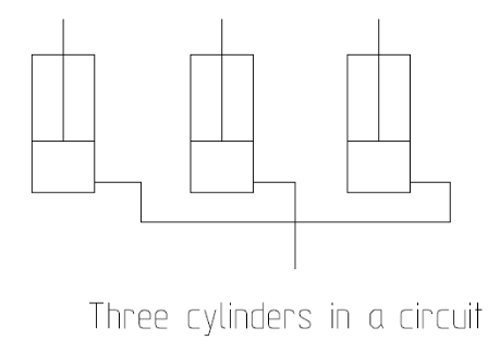 3.In a power unit hydraulic circuit, the power unit control a single acting hydraulic cylinder or two single acting hydraulic cylinders or more than three cylinders, referring to the power unit in one operation allows for one or two or more cylinders operate simultaneously to achieve the same operation request; if the power unit to control a double-acting cylinders or more double-acting cylinders in a circuit, the same reason. 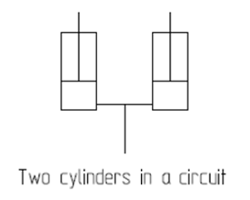 4.The power unit respectively in a hydraulic control a single acting cylinder or double acting cylinder, or several circuits’ cylinders.That is mean this power unit control different cylinders with different requirement,different time,but mutual non-interference, and some need to control the system and require simultaneous control, electronically controlled to achieve;with several circuits in the hydraulic system,they are the same as electronically controlled to achieve. Ningbo Best Industrial Co.,Ltd Directional Control Valves offer some of the highest flow and pressure ratings in the industry today. making them the perfect choice whether you are designing a new system or just simply trying to get more out of your current system. 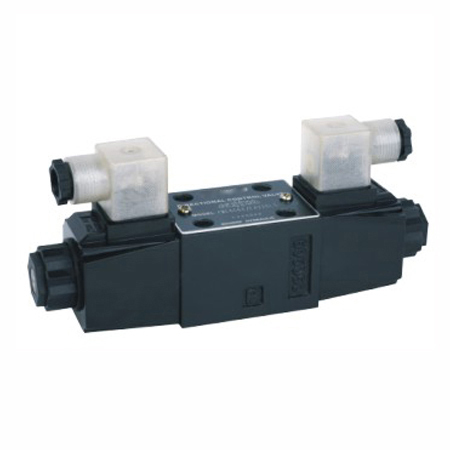 Superior performance and durability makes these Directional Control Valves a great investment.Directional Control Valve size includes NFPA D03 through D10 mount patterns with flows up to 290 GPM and pressures up to 5000 PSI. A complete variety of valve actuation methods is available. AC and DC electric solenoid, lever, air pilot, hydraulic pilot, and mechnical cam. A Hydraulic Directional Control Valve properly directs the flow of a liquid medium, usually oil, through your hydraulic system. The direction of the oil flow is determined by the position of a spool. A hydraulic system can only function – as per requirements – by using valves. Thus, you should always look for the correct type of hydraulic valve to serve your intended purpose.Hydraulic valves are available in a variety of sizes. The size required is determined by the maximum flow of the hydraulic system through the valve and the maximum pressure in the hydraulic system. 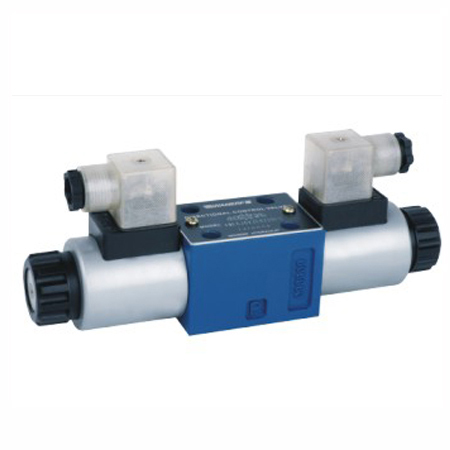 Hydraulic valves are available with different mountings: e.g. mounting in pipe lines, threaded connection as cartridges, subplate mounting, etc.